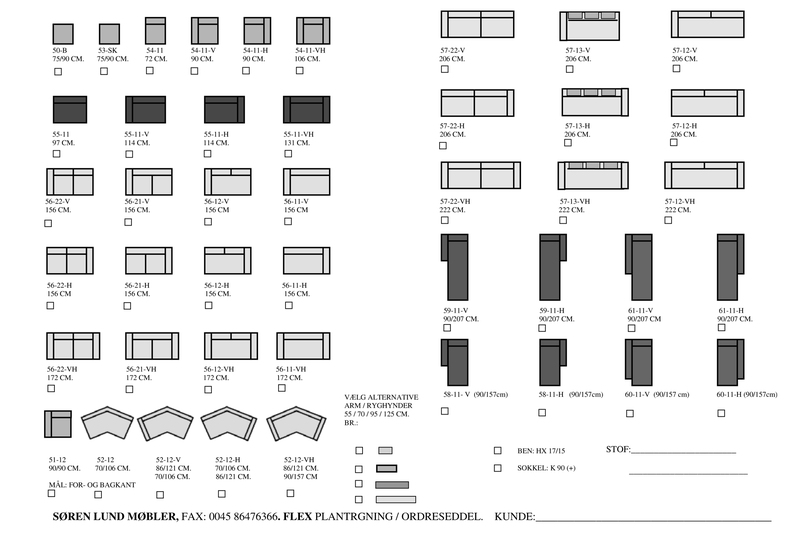 FLEX is an innovative, Danish manufactured, flexible furnishing system consisting of free-standing sections, preferably suited to meet every type of furnishing assignment, whether required in hotels, offices or in private homes. FLEX can be composed in an infinite number of positions: as settee, corner group, as 45 or 90 degree corner, inserted table or chaise longue. Various varieties of options are at your disposal. 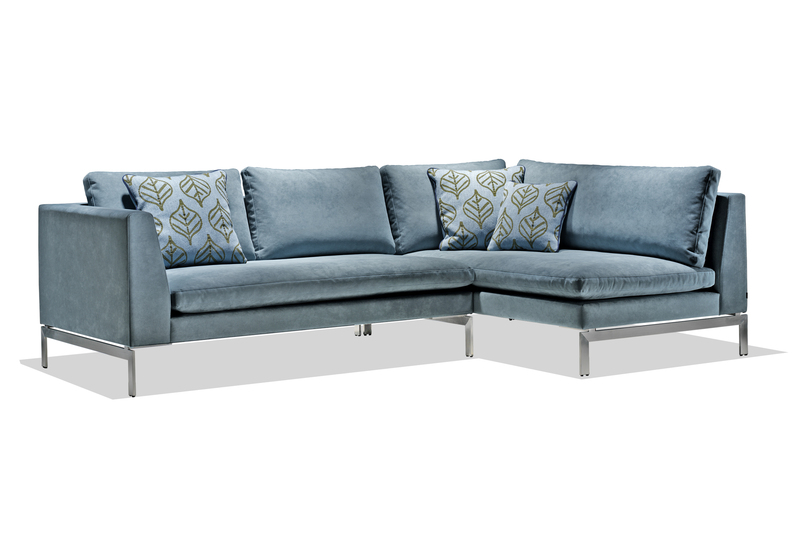 Legs and fabrics account for an essential element in designing any settee. The FLEXseries gives you a choice between exclusive plinth of brushed steel or elegant angle legs of the same material. The seat cushions are made of Downtop de luxe and the back cushions are stuffed with Polydown. All the cushions are equipped with zips. You may adjust the size of the back cushions according to your own need and wishes. At you disposal are four sizes for you ’to play with’ – 55/70/95/125 cm. As an example, you probably would like to combine one single back cushion with a pair of 50 x 50 small cushions, which may be equipped with contrast pipings. FLEX is not a standard solution, but a line designed and accommodated to fulfill your requirements and wishes. 50%polyether/50% european duck feathers sewn into tight Cambridge linen. Down-top de luxe reversible: 6 cm core of 38kg cold foam wrapping: 70% polyether/30%european duck feathers channelized into tight Cambridge linen.